I haven’t paid much attention to all the hoopla going on in the blogosphere about Adam and Eve and their historicity lately. Suffice it to say that this article in CT seems to have started a flurry of blogging activity concerning the historicity the “First Couple.” I’ll just go ahead and say up front that I believe in the historical veracity of the creation account of Genesis 1-2. (If you want to equate me to Sarah Palin, I suppose you can, but I doubt it would be fruitful for you to read any further.) This doesn’t seem to be the popular view in many of the blogs I’ve seen, but what I don’t want to do here is argue blog post by blog post against a plethora of others’ blog posts. I simply want to offer one piece of evidence that I think points to Adam and Eve being real human beings created by God as the beginning of the human race.That piece of evidence is the genealogical records found in Scripture. Wherever Scripture records a genealogy that references Adam, they refer to him alongside the contemporaneous figure on which the passage focuses. This means that this issue is not only related to our understanding of Paul in Romans 5 but to the understanding of various writers throughout the corpus of Scripture. To begin, Adam’s narrative is continuous with the (many times genealogical) narrative of Genesis 1-11. This narrative in turn functions to bring the reader to Abraham, a central figure in Genesis and in the OT. 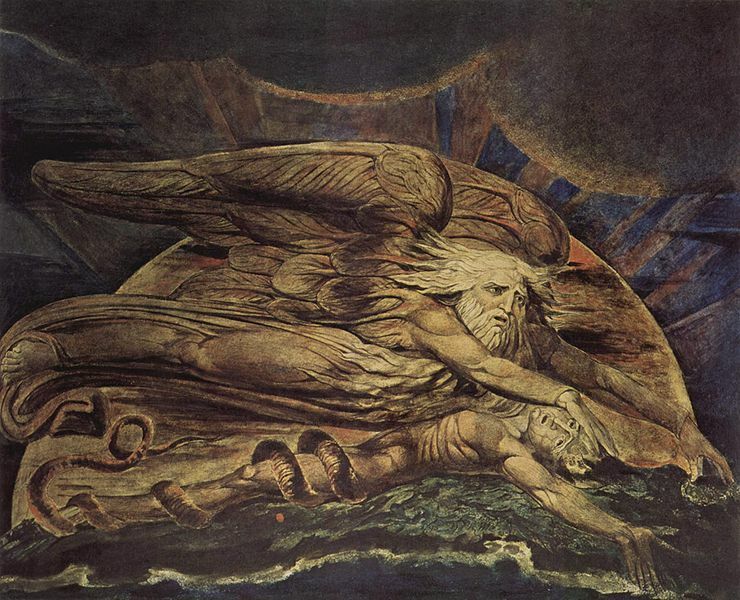 There is no break in the story, no indication that the writer of Genesis made a distinction between one section as a “creation myth” and the other as the start of “real history.” Genesis 5:1-5 is especially noteworthy here, as the same man who was created by God in the Garden as the first man is said to have born children, one of whom is a vital part of Genesis’ genealogies, lived to a certain age, and died. This certainly doesn’t sound like an a-historical proto-man myth to me. 1 Chronicles 1-2, in which the author is concerned to show the genealogical record of King David, begins with Adam as well. He is included with other figures from Israelite history who the author certainly would not have seen as a-historical or simply a figurative tribal head. Finally, there is Luke 3, the genealogy of Jesus. The same thing said of 1 Chronicles 1-2 can be said here. Luke doesn’t make a distinction between the historical and “figurative” (or other such categories) of people referenced in Jesus’ ancestral record. Along with these references, there are Hosea 6:7; Rom 5:12, 14; 1 Cor 15:22, 45; 1 Tim 2:13-14; and Jude 1:14. All of these appear to regard Adam as a historical figure, and as the progenitor of the entire human race. Now, I realize I haven’t dealt with the scientific claims that have spurred these articles and blog posts, and namely the claim that the human race began from at least 10,000 people instead of just 2. But that’s not the point of the post. I will say this, though, in conclusion; for all of those who are calling for Christians, and especially us Palin-supporting knuckle dragging Neanderthal inerrantists, to get with the times and trust science, my brief rejoinder is that for as many things that science has given us, it is neither a fool-proof epistemic source of knowledge nor even a neutral, presupposition-less epistemology. It, like any other mode of knowledge, is prone to error, subject to our own whims and biases, and should not be taken as the only source of information about our past, present or future. I continue to wrestle with this subject. I am fairly convinced that the biblical authors thought of Adam as an actual person. I think a figurative Adam could “work” theologically, but it is complicated. Honestly, my great weakness would be that I know very little about science. I can’t speak to anything related to DNA, fossil records, etc., so I feel a bit handcuffed there. At this time I try to hold the tension. @Brian: I agree that, as someone not trained in biology or geology or anything else scientifically related, it’s hard to speak convincingly against “scientific” conclusions. In the post I simply wanted to recognize two things: 1) at least some (and I’d say all) of the canonical references to Adam are decidedly not figurative, and 2) that we need to be very careful about automatically capitulating to scientific findings. There’s a lot of science out there and behind each conclusion (whether I agree with it or not) are a plethora of agendas, worldviews, and presuppositions. As far as a “theological” Adam, yes I agree that it might work, but I just don’t see where the biblical authors refer to him only in that way. Thanks for the post. I particularly found helpful your last paragraph in dealing with what counts as “knowledge.” Both scientists and theologians need to be more trained in philosophy in order to understand how we ground our epistemology.